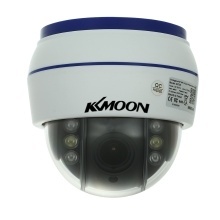 *1/2.9&apos;&apos; CMOS sensor, HD 1080P 2.0 Megapixels, providing with high definition image quality. *Pan tilt rotation, horizon: 0～355°, vertical: 0～90°,no blind spot. Elegant outline, super design and easy installation. *P2P cloud function,mobile devices remote view anywhere at anytime. Motion detection function,TF card slot, max support 128G(TF card is not included). *Equipped with 4pcs infrared array LED lights + 2pcs infrared white light dual-source LED light, infrared and white light switch freely on Camhi APP, when white LED on, night vision image is colorful. *Connect in minutes to your existing Wi-Fi network, with no need for a base station – it&apos;s wire free and hassle free.